The historic house is on two floors, with level or ramp access throughout. There is a lift to the first floor and ramps as an alternative to steps. The nursery and glasshouses are also accessible to wheelchair users. There are a limited number of hard standing paths throughout the formal gardens and designated parking for disabled drivers which are l located nearest the large stone gate to the site. The approach to the house is via the Nursery and Visitor Centre, a distance of approximately 100 yards. Seating is available along the route, and two wheelchairs are available for use on site for those who find walking difficult. 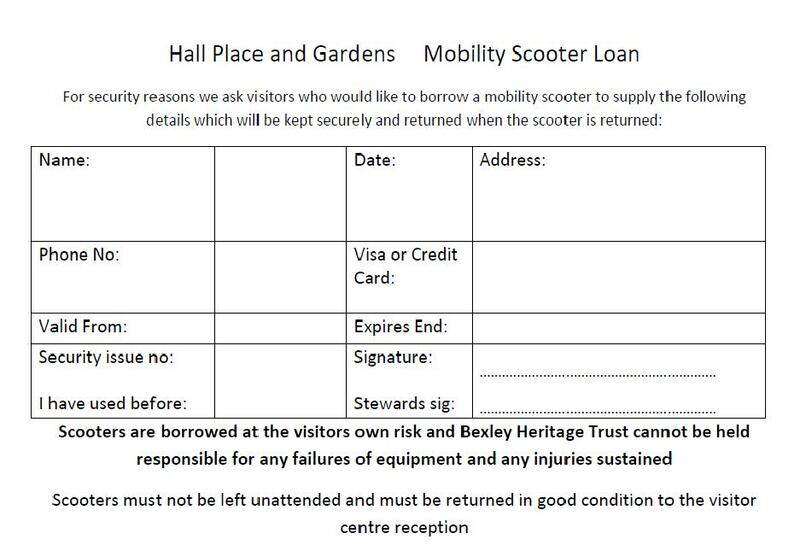 We also have two mobility scooters courtesy of the Bexley Association of Disabled People that can be borrowed by those that are familiar with how to use them. We offer large print guides to our events and exhibitions where possible and assistance dogs are welcome throughout the house and gardens. If you wish to use the wheelchairs or scooters which should be booked in advance or have any questions about your access needs please call 01322 526574. 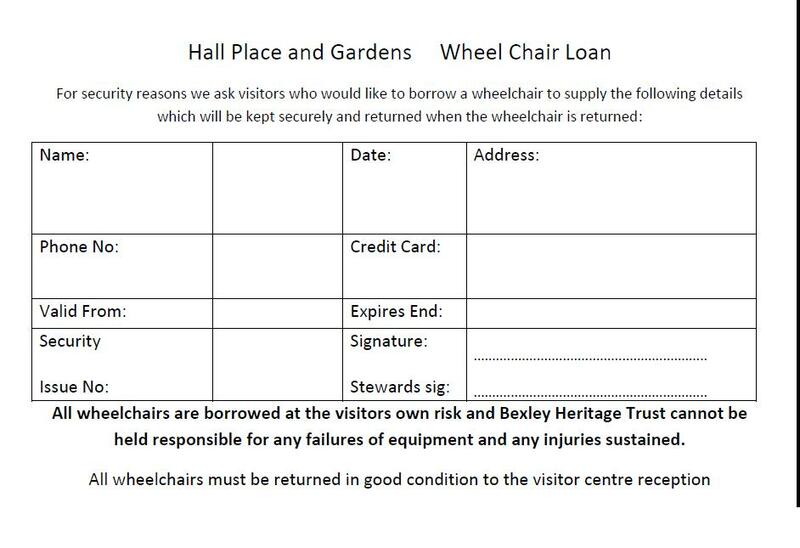 We ask those using the onsite wheelchairs or scooters to leave credit card details with us as a form of deposit, to be handed back on return of the wheelchair. The loan forms can be downloaded below or collected from the house reception.